A 5 cl, miniature bottle of single malt whisky from the Tobermory distillery on the Isle of Mull. 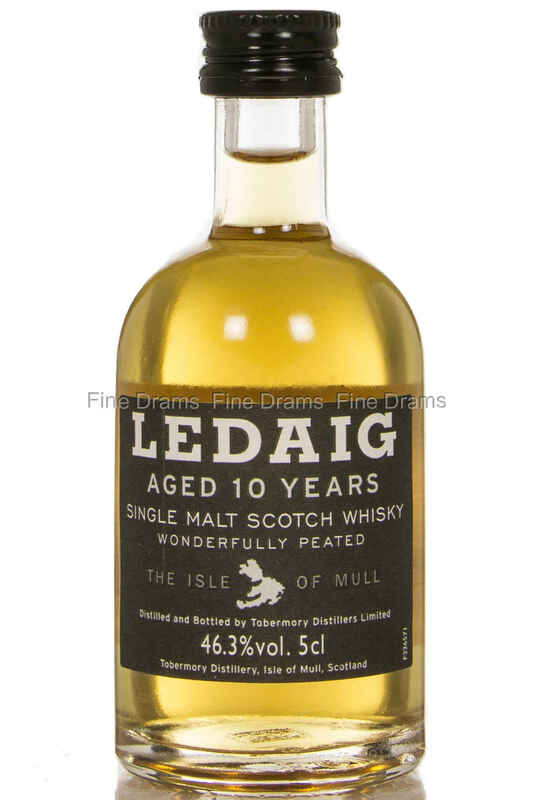 Ledaig is, as you might know, the heavily peated spirirt distilled at Tobermory. With its rather intense smokiness and coastal influence, this whisky is up there with the more powerful Islay whiskies.